Fernando Torres will once again be the focus of attention tomorrow as the forward takes to the field for the first time since his astonishing open goal miss at Manchester United last weekend. The Blues will be hoping a home Premier League fixture with Swansea City will be ideal therapy for the Spain international as he bids to forget the derision that has come his way since Sunday’s loss. Torres will not need reminding that he somehow failed to find an unguarded net in his side’s 3-1 defeat at Old Trafford, which over-shadowed the fact that he had scored an excellent goal earlier on. 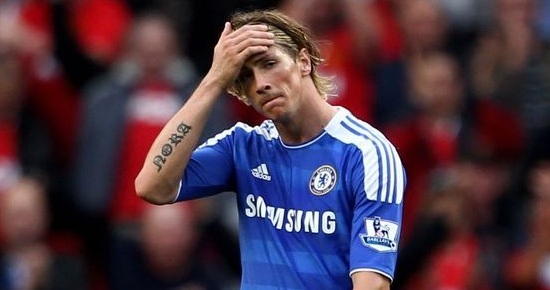 Chelsea manager Andre Villas-Boas opted to leave Torres out of his squad altogether for this week’s League Cup encounter with Fulham.